Recently I’ve been asked to write a review of a fascinating book by Peter T. Struck: Divination and Human Nature, A Cognitive History of Intuition in Classical Antiquity. While the full book is worth reading for anyone interested in ancient Greco-Roman culture, as well as in the early development of science, there is a whole chapter on Posidonius, one of the major figures of the so-called Middle Stoa, the period during which Stoicism transitioned from its original home in Athens to Rome. Posidonius is a fascinating figure in his own right, and he is often not written about because all we have by him are fragments and indirect sources (as opposed to, say the wealth of stuff by Seneca). Divination is also rarely commented on in Stoic circles, because it is automatically relegated to the category of superstition, something the Stoics were wrong about and that we just don’t need to be concerned with nowadays. But the story is not that simple. Struck begins the chapter by reminding us of some core concepts of Stoic metaphysics, beginning with the idea that the soul is a unitary thing (not made of parts, like Plato thought), and that the cosmos is a living organism animated by the Logos, its rational principle. Human beings, in turn, are embedded in the fabric of the world, and share with the Logos of the whole. He then moves on to provide some preliminary information about Posidonius himself. He was a student of Panetius, who was known for a number of unorthodox ideas within the Stoa. Cicero tells us that Panaetius “did not deny the power of divination but had his doubts.” Posidonius, by contrast, wrote a whopping five books on the topic. A lot of what we know about Posidonius’ take on divination comes from Cicero’s De Divinatione, which is structured as a dialogue with his brother Quintus, who acts as a surrogate for the Stoic position, and whose thoughts are based on Posidonius. The idea is that this continuum of pneuma pervades the entire cosmos, and it is coextensive with nature and god. Struck traces the idea to the early Stoa: “In the surviving Stoic evidence, the idea first appears in an argument assigned to Cleanthes. He speaks of the relation between body and soul, and claims that since it is impossible for an incorporeal to sympathize with [συμπάσχει] a corporeal, the soul must be a body. The soul clearly does show sympathy with the body, he says, as in the case when it is distressed when the body is diseased or cut; and the body with the soul, as in blushing from embarrassment or turning pale from fear.” This, of course, has nothing to do with the “soul” as understood either by Plato or by modern Christianity, but it refers to the materiality of what we would today call the mind. But it is Chrysippus who greatly expands the concept, essentially applying “sympathy” to the interconnectedness of all the cosmos, by way of the running pneuma, so that Stoic sympathy becomes grounded in the notion of the universe as a single living organism. And now we arrive back to Posidonius. While earlier Stoics like Cleanthes and Chrysippus got criticized by the Academic Skeptic Carneades for presenting an image of the divine principle as too closely connected to individual divinatory signs, Posidonius is more cautious and suggests that the machinery of the world simply works by cause and effect, which however also means that events have predictable precursors. Moreover, as Struck reminds us: “the Stoics’ materialist view of the soul allows, and in fact requires, that the soul is fully embedded within the interlocking set of physical causes that produce coming events.” Accordingly, for Posidonius the divine is not a busybody, it simply steers the world in a way that is “good” for the whole organism, but without concern for its individual parts, including, of course, individual human beings. Interestingly, Stoic psychology says that we are capable of receiving information from the rest of the world-organism and decide on how to best act: “presentations [i.e., sensorial inputs] arrive from the parts of soul extended toward senses, the commanding part at that point assents to the presentation or not, making a certification of its authenticity. The reasoning function then concludes what kind of action to take and sends out a triggering impulse to make it happen.” This is relevant to the issue of divination because in this way we are connected to the web of causality that permeates the cosmos, which makes it possible for people to “sense” future happenings in an entirely non mystical fashion. That is, for the Stoics divination was a science of forecasting, made possible by the very fact that we live in a deterministic universe of causes and effects. They were, obviously, mistaken about which signs to pay attention to and how to interpret them, but the basic idea is the very same one that underlies modern predictions of natural events, especially when we don’t fully understand the underlying mechanisms and rely on heuristics and statistical correlations. Moreover, Posidonius — like many other ancients, including Plato — distinguishes between professional divination and that unconsciously carried out by some people who appear to be especially gifted. The former proceeds by the systematic study and interpretation of outward signs, and it is accounted for by the above discussion; the latter happens under particular conditions, such as in dreams, or characterizes what oracles do (probably under the effect of hallucinatory substances, as at Delphi). Again, we are prone to reject “natural” divination as nonsense, just like we do with the professional variety. And it is, by modern standards. But the idea isn’t crazy at all. Essentially, what Posidonius was saying was that some people, for whatever reason, have particularly strong pneumatic connections with the rest of the cosmos, so that they can occasionally glimpse what for the rest of us is obscure and inaccessible. Struck interprets this as what modern psychologists call intuition. 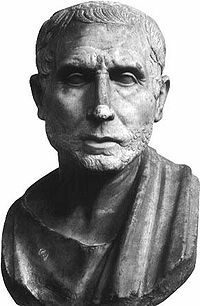 Now, the Stoics had a sophisticated theory of causation, articulated chiefly by Chrysippus, who for instance distinguished between external and internal causes. The internal causes are what make us moral agents, and they organically interact with external causes because we stand inside, not outside, the cosmic web of causation (the Stoics didn’t believe in what today is referred to as contra-causal free will). The point of this analysis, and of my summary of it, is of course not to say that the Stoics had knowledge or understanding of physics and metaphysics that somehow is still relevant today. Divination, nowadays, is a pseudoscience. But it is important to appreciate the sophistication of their reasoning even in areas where it has been superseded by modern science. Always beware of dismissing the products of other times and cultures as “obviously” primitive, or even downright ridiculous. It is a good lesson to keep in mind, because you can bet that whatever we think today about how the world works will eventually be regarded with equal disdain by future generations. This entry was posted in Cicero, Metaphysics, Posidonius, Psychology on March 10, 2017 by Massimo. There is a lot in this, and I will need to read it several times to get the best out of it. The four gradations of pneuma are very interesting, much more so than a simple body/ mind, or physical/ spiritual dichotomy. From what you say, it would appear that Christian Stoics have to fillet out a large part of Stoic philosophy to make it fit with orthodox Christianity. Replace ‘pneuma’ with ‘qi’ and you have an extremely similar concept to the one from ancient China, including the gradations, the connection to the wider cosmos, to nature and to medical theory. I wonder how much similarity there was in stoic divination to the divination connected to the I Ching.